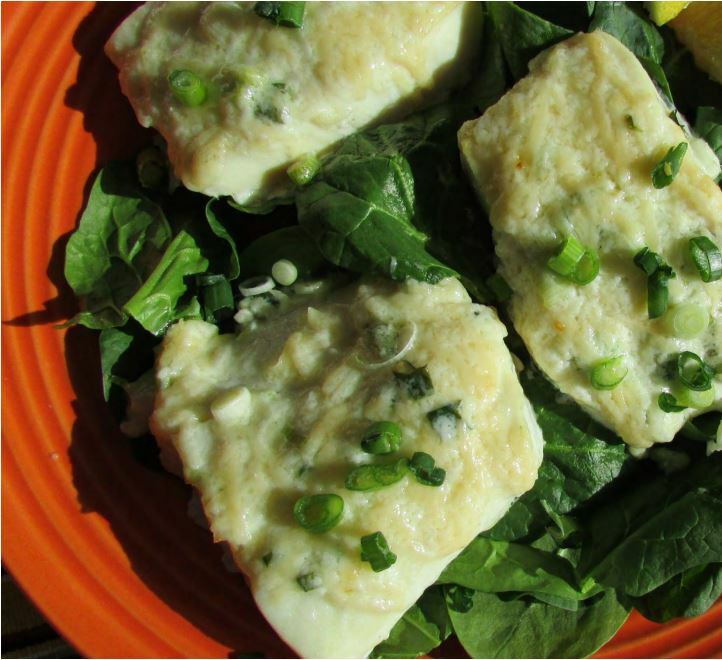 The rich, cheesy topping compliments the mild flavor of the halibut. It is a heavenly combo! Broil halibut fillets 8 minutes in the prepared oven, or until easily flaked with a fork. Spread with the Parmesan cheese mixture, and continue broiling 2 minutes, or until topping is bubbly and lightly browned.